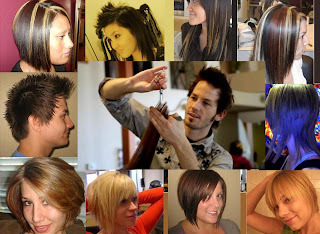 Here are a few of my clients pictures whose hair I have done lately and a few old pictures as well. This is my new background I am going to be putting up on my myspace here soon. OH MY GOSH! Your alive! I thought you died. ha ha ha. Welcome back to the blogging world! Man you are freakin good at hair. That's so awesome! You need to post more pictures!!!! Hey it was cool to see Jon too. Is he married? Hey Mike...looks like you are pretty good at hair. I'm impressed! Where are you working? Nice job! I would love you to do mine. If you are in SLC, sound good?